Medipass, as active partner in the development of SPTC, has attended the 56th PTCOG Annual Conference, looking ahead for the Clinical Launch of SPTC expected in December 2017. 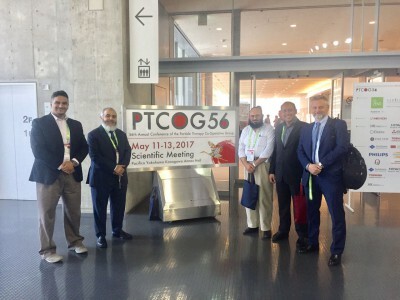 As a meeting point for clinicians, researchers and managers, the 2017 PTCOG Annual Conference provided a full scientific program that included interactive discussions on various topics of interest to the Proton Therapy community. Medipass and the others SPTC delegates had the chance to further harvest the most recent updates in the field of Particle Therapy, that is shaping the future of Particle Therapy, where Medipass is expected to continue part of its development.